Panchmukhi air and train ambulance service is well specialized, dedicated and trustworthy ambulance services in Guwahati. Our teams of Doctors and Paramedical staff are experienced and have good skills. We are an ISO certified company and provide emergency air ambulance services in all major cities in India and also worldwide 24*7 Hours. Our offices are located in Delhi, Guwahati and Patna. 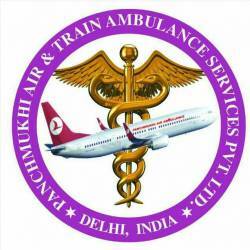 Why Panchmukhi Air and Train ambulance Services?